Thanks for visiting Finleys Oven Cleaning Midsomer Norton Somerset for professional cleaning of ovens in the Midsomer Norton area. Finleys Oven Cleaning Midsomer Norton are a professionally run oven cleaning company based near Midsomer Norton covering Midsomer Norton the surrounding area and nearby villages. As a family run business we pride ourselves on offering a reliable, affordable & fully insured oven cleaning service in the Midsomer Norton area and the surrounding villages. 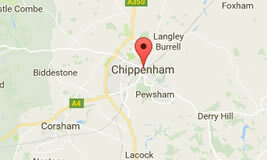 Why Choose Us for Oven Cleaning in Midsomer Norton Somerset? You can be assured that our oven cleaning service will be of the highest quality, carried out by a reliable competent, honest oven cleaner and our oven cleaning service covers the Somerset area including Midsomer Norton, Marlborough, Pewsey, Devizes, Calne and the surrounding villages. Get an oven cleaning quote online or call 07565 795485 for an instant oven cleaning quote. If you are looking for professional, fully insured and reliable oven cleaners in the Midsomer Norton area Contact Finleys Oven Cleaning Midsomer Norton today!